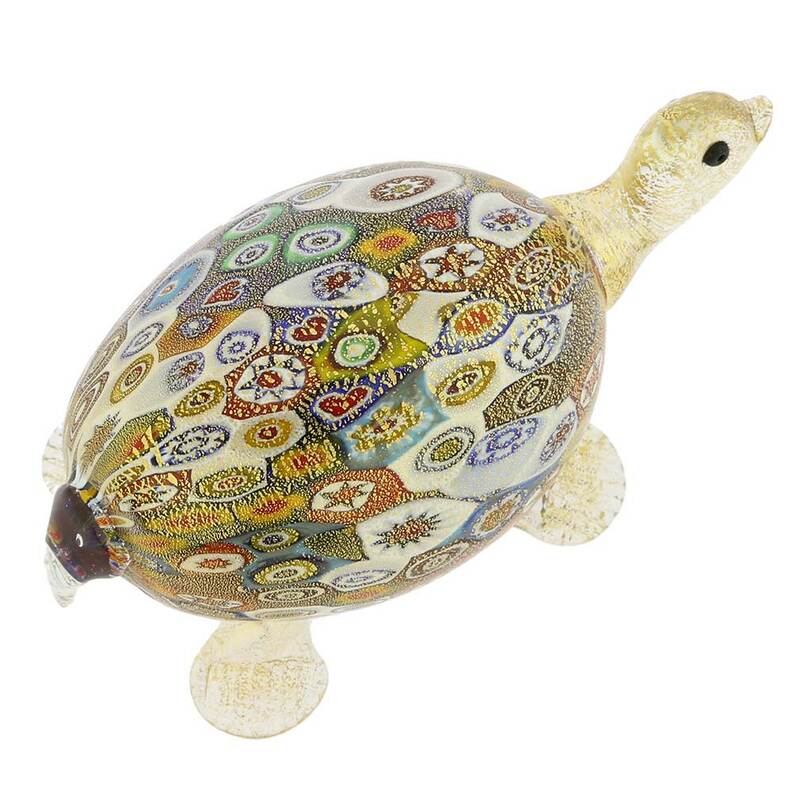 Our charming Murano Glass turtle was blown by the glass masters using a very distinctive ancient Murano technique- Millefiori (a thousand flowers). 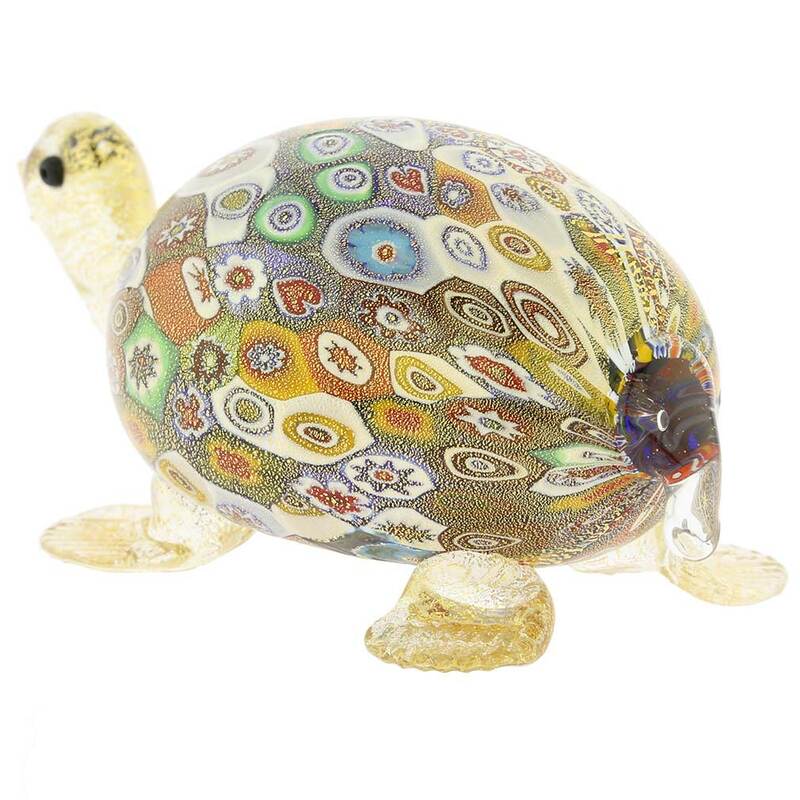 Hundreds of colorful Murano Glass mosaic pieces with patterns inside are fused together and richly covered with rich 24K gold to give this Venetian turtle opulence and style. 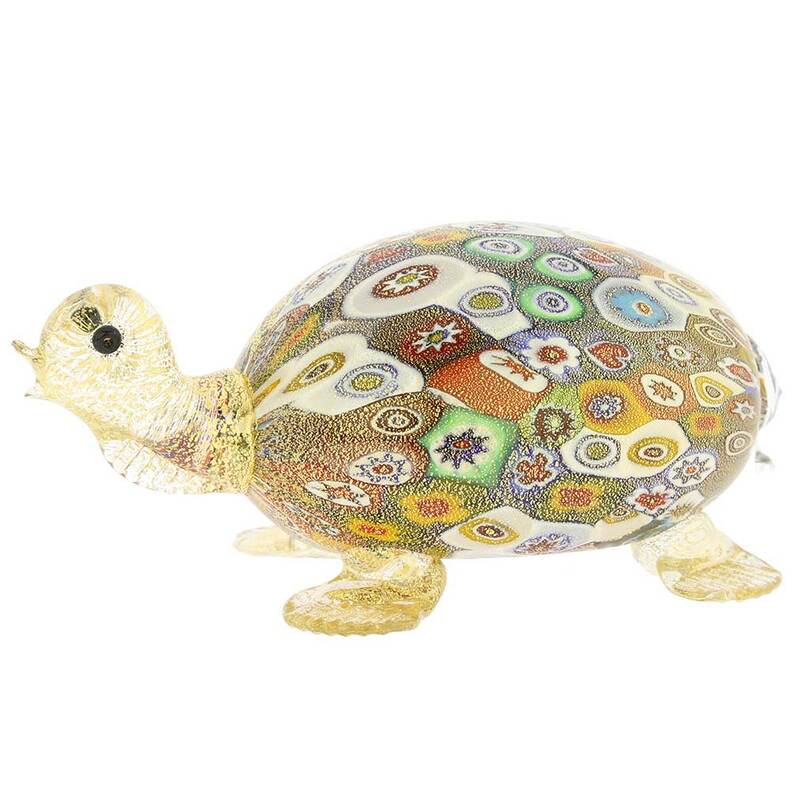 Whimsical and unique, the Murano Millefiori turtle sculpture is an instant conversation piece and a great way to bring Venetian artistic heritage and Murano excellence into your living room. 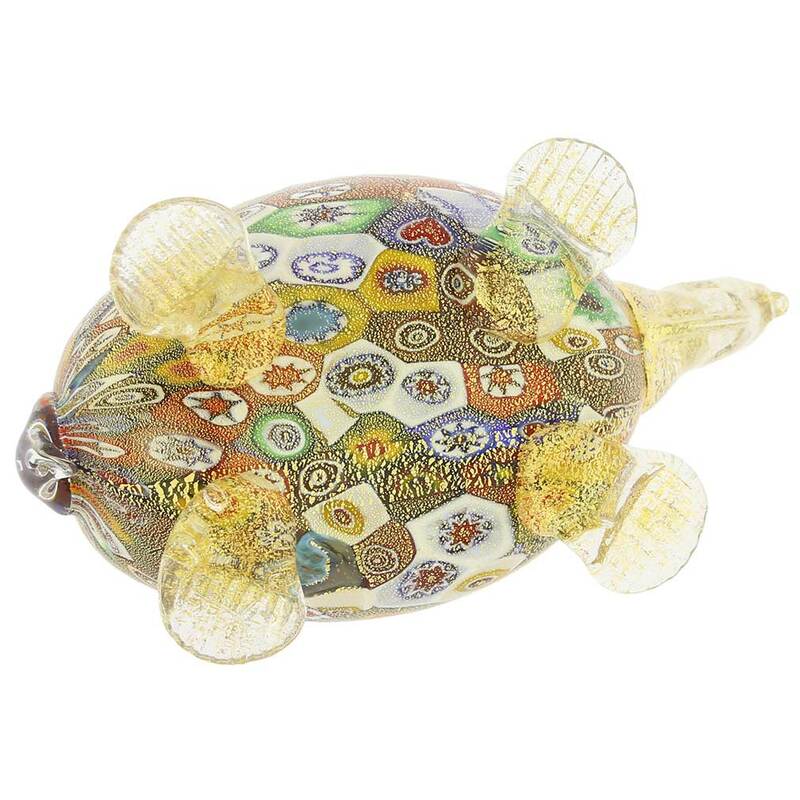 The Murano Glass turtle also makes a uniquely appropriate gift for special occasions such as weddings, anniversaries, or birthdays, guaranteed to be treasured for generations. 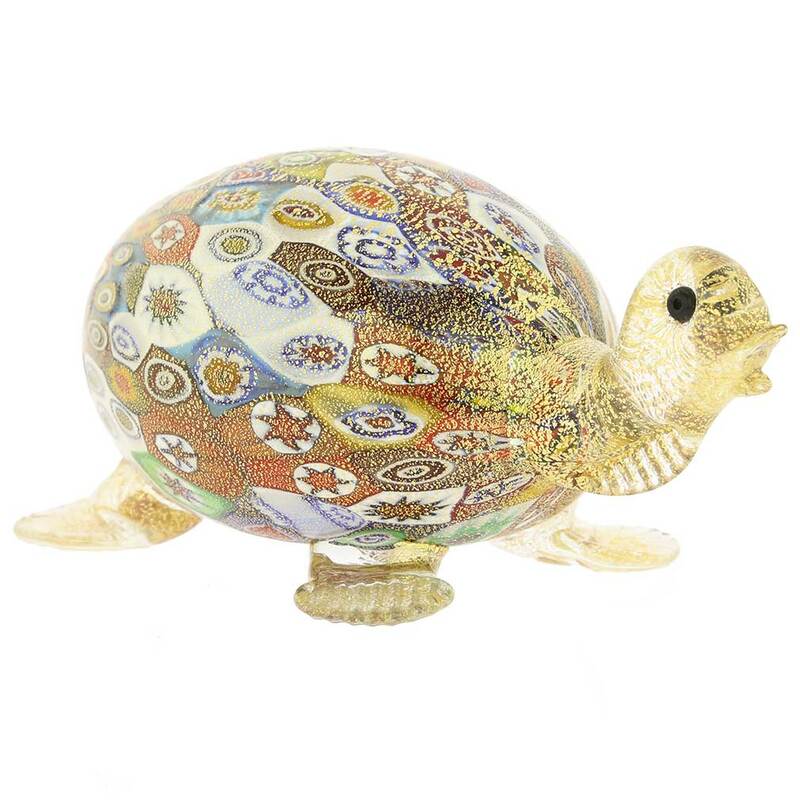 Pair this adorable sculpture with other artistic pieces from Golden Quilt Millefiori Collection for even more striking effect. 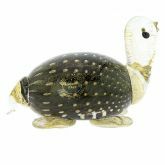 Measurements: The Murano turtle measures approximately 5 inches in length, 2 1/2 inches in height and 2 1/2 inches in width. It is very well packaged to avoid damage in transit and comes with a certificate of authenticity. My turtle is sooo beautiful. I will add it to my collection of turtles from around the world. This one is special from Venice. Has more presence then what the picture shows â€¦ very nice piece!